What are the NHS Continuing Healthcare assessment guidelines? During summer 2014 we asked families to share their experience of the NHS Continuing Healthcare assessment process. Thank you to everyone who contributed. We pulled together all the feedback we received and we have also sent information from the survey to some sections of the media. The BBC’s File on 4 programme used some of our material in their broadcast on 18/11/4: Continuing Healthcare – The Secret Fund. You can listen to the podcast here. As well as the results from our Continuing Healthcare survey, we have also had phone and email contact with over 1,000 families. All these families have shared first hand their experience of the care funding system and the Continuing Healthcare assessment and appeal process. Many of these families were not informed about Continuing Healthcare by the health and social care authorities when their relatives first needed care, and many of those relatives have been wrongly means tested and forced to pay for care as a result. The NHS has a duty to promote Continuing Healthcare funding, as stated in NHS guidelines. There are also many comments on our blog articles from families highlighting problems in the Continuing Healthcare assessment and appeal process. There are many other accounts by families of problems in the Continuing Healthcare process that can be found on other websites and online forums. Parkinson’s UK has also produced a report, Failing to Care, which highlighted failings in Continuing Healthcare funding assessment system. The families who have shared their experiences include people from all walks of life, including those who work or have worked within the NHS, funding assessors themselves, journalists, private sector workers, public sector workers – all sorts. Health and social care professionals have not told people about the Continuing Healthcare funding that is available through assessment. Continuing Healthcare assessors and local authority representatives admit they have not read the National Framework guidelines. Assessors have not taken account of how a person’s health is deteriorating and is likely to continue to do so. Assessors have been aggressive in assessments, intimidating in approach and some have refused to engage in discussion with families. Some families have received copies of the Decision Support Tool assessment notes but noticed that the scores have been altered after the actual assessment meeting – and without their knowledge. Families report that care needs have been trivialised and played down in assessments. Assessments have taken place at a time that differs from the scheduled time, and yet the family has not been informed in advance; it means the family has been excluded. The Fast Track assessment process has been ignored, leaving people who are at the end of their life or in rapid deterioration without the funding and care they so vitally need. Continuing Healthcare funding has been withdrawn from people without proper and thorough review. Families have waited months for an assessment, and then not received any outcome or final decision. Families have not been invited to attend assessments and are not told they are even taking place. Powers of Attorney have been ignored. Some assessors indicate they do not understand that there is a limit beyond which a local authority cannot legally provide care. … these are just some of the false statements families report being told. This situation indicates a worrying lack of training on the part of assessors and/or an unwillingness to carry out assessments that comply with the National Framework guidelines and the judgment in the Coughlan case. The principles of the Coughlan case are clearly set out in the National Framework. Families report being hounded by hospital discharge teams to remove older relatives from hospital and into self-funded care before it has been properly established through Continuing Healthcare assessment who is actually responsible for paying for care. Families report being asked about their relative’s money and other assets at the beginning of the Continuing Healthcare process or prior to it starting; when confirming that there are assets available, families discover that a Continuing Healthcare assessment is either subsequently curtailed, carried out incorrectly or does not take place at all. Families report a failure by assessors to carry out the correct Mental Capacity Assessments (in accordance with the Mental Capacity Act). Families report receiving Continuing Healthcare assessment notes littered with mistakes and failing to record what was actually discussed in an assessment meeting. The problems in the Continuing Healthcare funding assessment system are evidenced by the accounts we receive from families every week. It is not only the Care To Be Different website that highlights these issues. There are many firms of solicitors helping families appeal against incorrect funding decisions and helping families fight a relative’s corner in assessments. 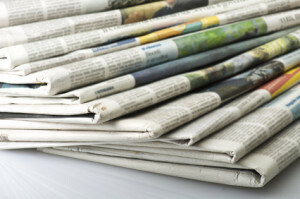 There are also an increasing number of news/media reports and features documenting the problems in the Continuing Healthcare assessment process. 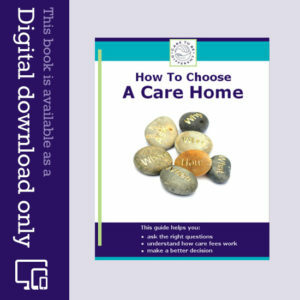 Because of the problems families encounter, there are former Continuing Healthcare nurse assessors, appeals managers and local authority managers who now work outside the health and social care system, applying their knowledge and expertise to help families counter the kind of obstacles highlighted above. 900 families (2014 figure) would not have approached Care To Be Different (and this is just one website about Continuing Healthcare) if there weren’t problems in the funding assessment process. The same applies in the context of specialist Continuing Healthcare solicitors and other organisations that are helping families with this issue. Some of the major national charities have also raised similar concerns, and online forums about Continuing Healthcare paint a depressing picture of what many families are experiencing. None of the families who have contacted Care To Be Different are seeking to simply ‘get money out of the system’; instead, they are pursuing legitimate funding applications and appeals for relatives who are often seriously ill and dying and who have significant nursing care needs. 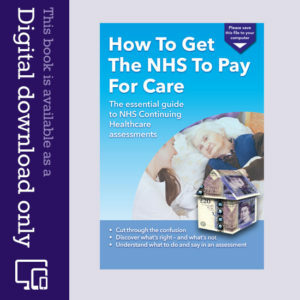 They expect the NHS – and its assessors – to abide by the National Framework guidelines and the law. Thank you again to everyone who contributed to our Continuing Healthcare survey, and to everyone who has shared their story so far. The more people who highlight the problems, the more pressure there will be on government to actually do something to address this state of affairs. If this issue has affected your family, what tips would you give others facing the same thing? What are the NHS Continuing Healthcare guidelines? How does the Continuing Healthcare assessment process work? Forget a Public Inquiry! The Government should force the NHS to do a full review in the same way as Banks and Pension providers have had to over PPI and Pensions misselling and it should be overseen by people like Angela and other members of the public who have had to fight the system for so long that they know the framework better than those being PAID to administer it! Thanks for your feedback. I think a public inquiry would certainly not go amiss. Aileen – things sound very poor in Northern Ireland without even a National Framework. Val – I wish you well. Sounds like you’ve been waiting a very long time for the outcome of what should ordinarily be a straightforward assesment. Your article reads really well and reveals that the CHC assessment and funding process is an absolute disgrace. My husband, who has been living in an EMI Care Home since Apr 2014, was originally assessed in Mar of this year. No decision was made by the local health board panel and he was reassessed in July. Yet again we await a result. In the meantime I have approached several outside bodies to assist with my husband’s case. I am waiting until mid Dec for a result and if I still remain dissatisfied, I intend to name and shame by contacting the national press, national radio and television. I am disgusted that my husband and I, as lifetime tax payers, have been treated so badly. I intend to ensure that my husband receives what he is entitled for no matter what! The survey’s results are shocking but not surprising for all the families directly affected by the NHS operation of continuing healthcare assessments.Believe me, it is even worse in Northern Ireland, where I reside.Northern Ireland does not even have a National Framework to operate from, instead decisions are taken by local health boards which are obviously very budget driven. Please keep fighting this. I am fighting for my husband to receive what he is entitled to and hopefully we will win and then set a precedent for other folk in a similar situation. Don’t let them win! The whole system is a National Disgrace and deserves nothing less than a full Public Inquiry.